"To this day I cannot see a bright daffodil, a proud gladiola, or a smooth eggplant without thinking of Papa. Like his plants and trees, I grew up as a part of his garden." It seems like all of the Monarchs around here have vanished, although there are some smallish-sized Monarch cats on the milkweed plants here at the Container Butterfly Garden. The great Monarch butterfly migration has begun in the Midwest, on their way down to Mexico to overwinter. Midwest population counts have been up this year, which is a good sign. With habitat restoration projects now in place and more planned in the wings, plus more gardeners now planting milkweed in their gardens, counts should continue to climb barring any environmental or man made setbacks. We'll wrap up nectar plants with some miscellaneous offerings. There are many, many more flowers that butterflies find beguiling than those published in this blog. The list below contains plants that are generally known to attract. 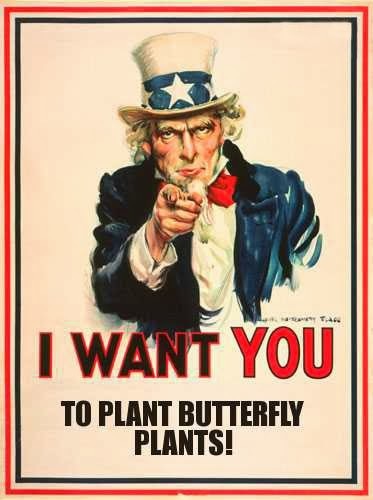 I either don't have experience with them, or they don't work well in the Container Butterfly Garden. Bear in mind that some flower preferences are regional: what works in one area may not attract in another. Plants in the compositae family are usually good bets. These include sunflowers, daisies, asters, plus a host of others. 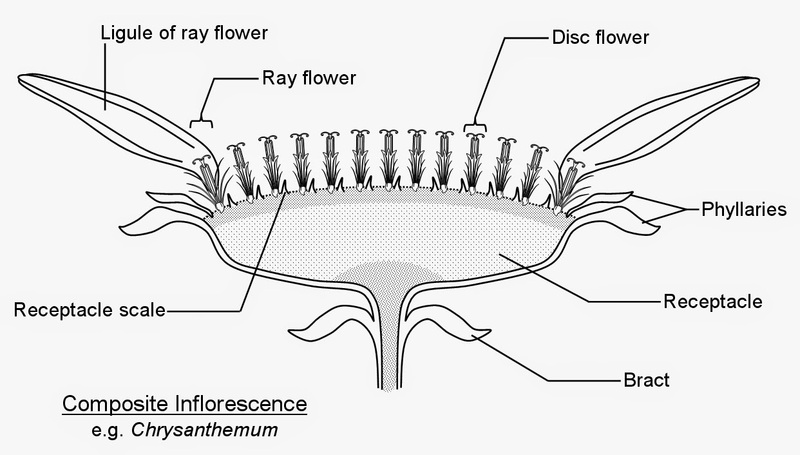 All sport daisy-like flowers consisting of a middle disc tightly composed of tiny florets surrounded by larger rays of petals. 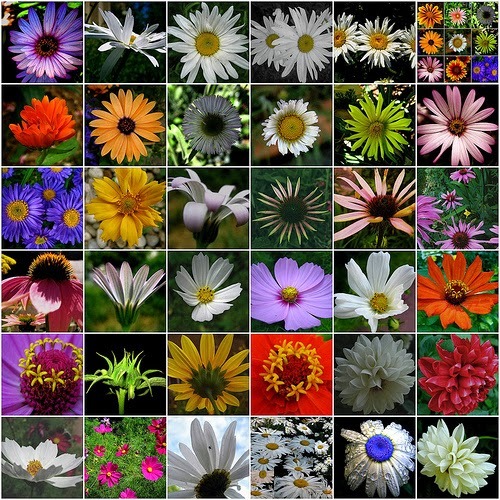 These are all members of the daisy family, compositae. Notable candidates are Tithonia rotundifolia, asters, cosmos, rudbeckias, the coneflowers, zinnias, marigolds... to name a few. One thing to watch for when mulling over which daisy-type plants you whish to add to your garden, is single vs. compound flowering plants. Singles are the typical sunflower-rayed blossoms with a ring of petals surrounding the inner florets. Compound varieties sport flowers where there are multiple rows of petals, many times hindering or obstructing butterflies from getting to the nectar in the tiny florets. The single varieties of marigolds are wonderful additions to a garden, as they also contain properties that are said to help ward off insects such as aphids. A few planted around the base of susceptible plants such as the milkweeds may have a beneficial effect.